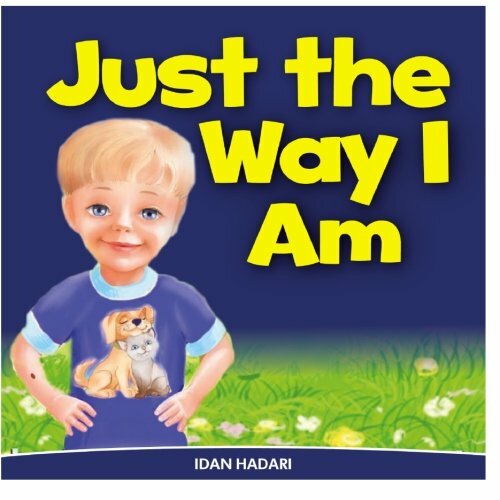 Children’s Book: “Just The Way I Am” (How to Build Self Confidence & Self-Esteem in children’s books for ages 2 4 8) Many children suffer from lack of self-confidence, self-doubt and low self-esteem. They might have a problem in school/pre-school or any other social activity to win friends or to be noticed an accepted as “One of the group”. As a young child, I was very quiet and introverted. I had no confidence in myself, neither about the way I looked, nor how I spoke, or how to make contact and interact with other children. As in my other books, I wrote this book from a real desire to help children with the questions: * How to improve their self-confidence * How to boost self-esteem * How to overcome fear and self-doubt * How to believe in themselves * How to think positively * How to overcome obstacles * How to face rejection – no one is perfect * How to conquer their fears * How to be strong, brimming with courage and fortitude This is a touching and funny story, about a young child that discovers that he has a birthmark on his hand. He learns how to deal with it right up to the surprising end. A great deal of time and effort was invested in the illustrations of this book, as well as the idea behind the story, and binding it all together into a lovely children’s story with great values. If you would like that your child not miss out on opportunities in life because of his/her lack self-confidence; whether it be public speaking; taking on leadership roles, or asking someone for a date; then we should teach them the lessons of how to face the challenges and situations they may not be equipped to handle, while they are still young, and before it is too late.